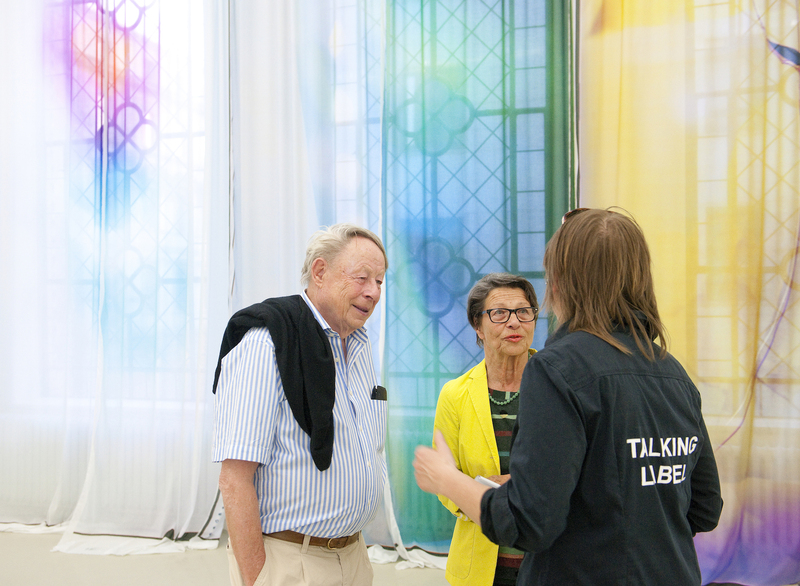 We cordially invite you to explore the ever-changing world of exhibitions at the Kunstverein Hannover through guided tours in a number of different formats. Be inspired and get involved with the contemporay world and discover current modern art with us! We invite you to take part in the guided tours through the current exhibition offered every Sunday at 3 p.m.
About four curatorial guided tours are offered for each exhibition. Director Kathleen Rahn or curator Ute Stuffer offer deeper insights into the conception, development and compilation of the exhibitions in the evenings at 7 p.m. The price of the tour in included in the admission fee. Along with a brief thematic tour through the current exhibition, our “Feast for the Eyes” every Wednesday at 12.30 p.m. offers a small seasonal exhibition-oriented menu as well as the opportunity to discuss the exhibited artworks. Food and drink are not included in the admission fee. Guided tours for groups of more than 5 persons can be arranged by appointment. Please contact us at mail@kunstverein-hannover.de. You can chat with our “Talking Labels” during the openings and other special events. Enjoy a guided tour through our current exhibition »Artistic Intelligence«. brief tour through the exhibition »Artistic Intelligence« (30 minutes). Guided tour through our current exhibition »Artistic Intelligence« with Sergey Harutoonian(curator). 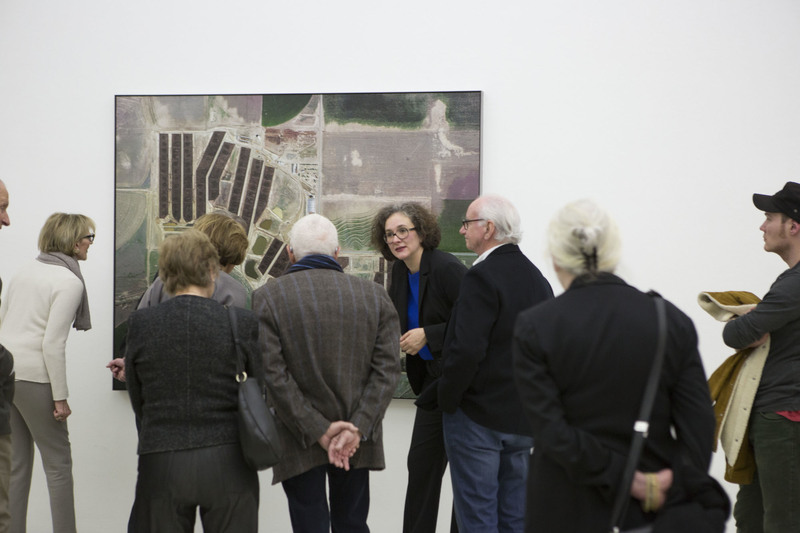 Guided tour through our current exhibition »Artistic Intelligence« with Kathleen Rahn (Direktorin).